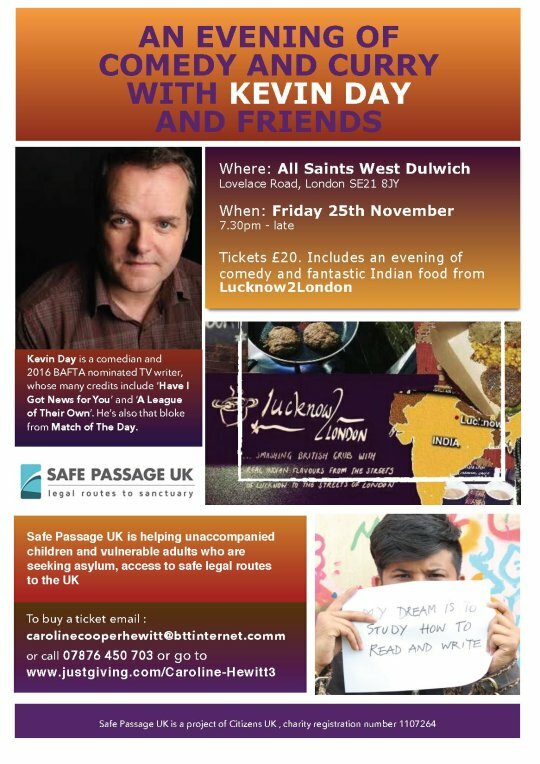 Join us this Friday at All Saints Church 7.30-late for an evening of stand up comedy and good food to raise funds for Safe Passage UK. The recent rise in refugees coming to Europe has left many children alone and searching for asylum. Through a combination of operational delivery, litigation, and political advocacy, Safe Passage UK is helping these unaccompanied children, as well as vulnerable adults, access safe legal routes to the UK. We believe that no one who has a legitimate claim to asylum in the UK should risk their lives trying to get here. 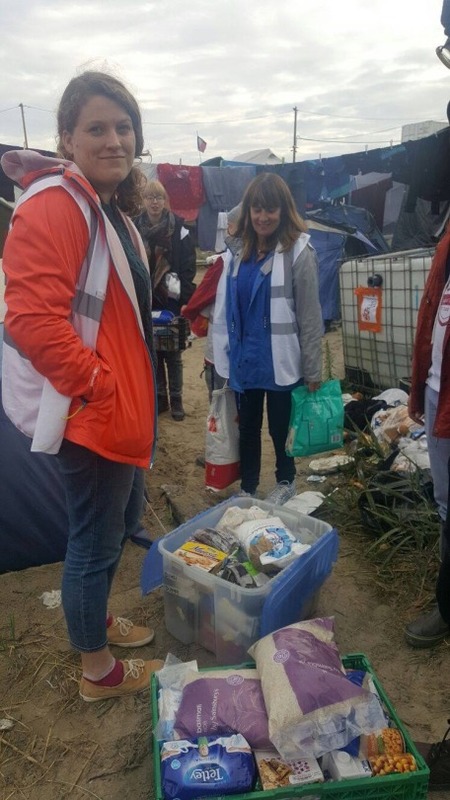 Anna, one of your Thurlow Park councillors, and local residents made a couple of trips earlier this Autumn to take your donations to the refugee camp in Calais and volunteer at the warehouse. Now the French Government have demolished the camp, we are looking to continue helping refugees – we hope you can join us on Friday. Lambeth have been very proactive in pushing Government to support unaccompanied children refugees and has so far welcomed four of the 20 families that the council has agreed to accommodate – making it the borough that has agreed to do most to help Syrian refugees. 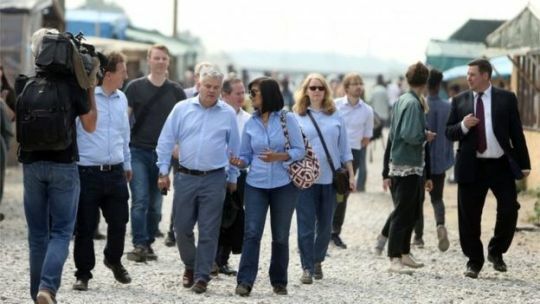 Lambeth Deputy Leader, Paul McGlone, is part of a delegation of senior councillors to visit Calais with Citizens UK, calling on government to do more for child refugees. Lambeth Labour has committed to support refugees, and has let the government know that we are ready to help children coming from conflicts across the world. In April, Lambeth Leader Lib Peck welcomed the first family settling here from Syria. We have thrown our support behind the Liberty and Help Refugees campaign to Protect Refugee Children, calling on government to urgently play its part. In May 2016, the Government committed to working with councils across the UK to resettle an unspecified number of children. Three months later and no action has been taken to deliver on this promise, despite support from Lambeth and other councils across the country. You can see more on the campaign and the pledge that Lambeth has signed here. 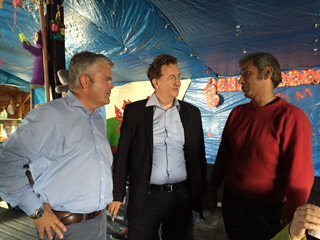 Labour councillors in Lambeth learning how we can better support refugees in South London. We know many of you would like to help – we have received a number of emails and the Feast had a fantastic response to their call for donations. If you would like to help, please get in touch.